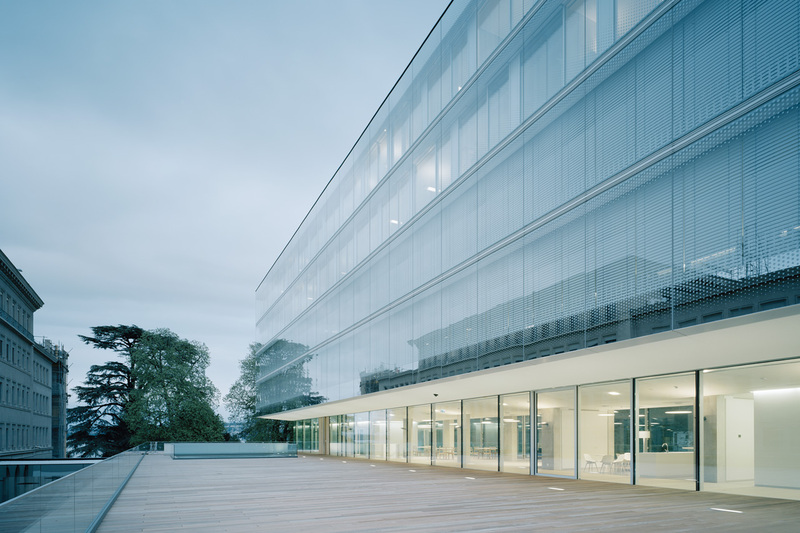 An innovative energy concept for the WTO headquarters in Geneva was developed and verified using dynamic building and daylight simulations. By minimizing demands for building conditioning and artificial lighting, this energy concept enabled the building to meet Minergie P standards. 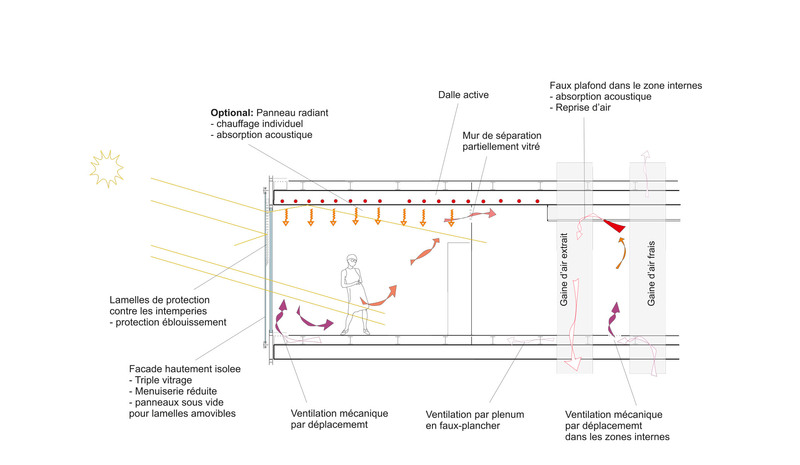 The offices are heated and cooled via a radiant ceiling. 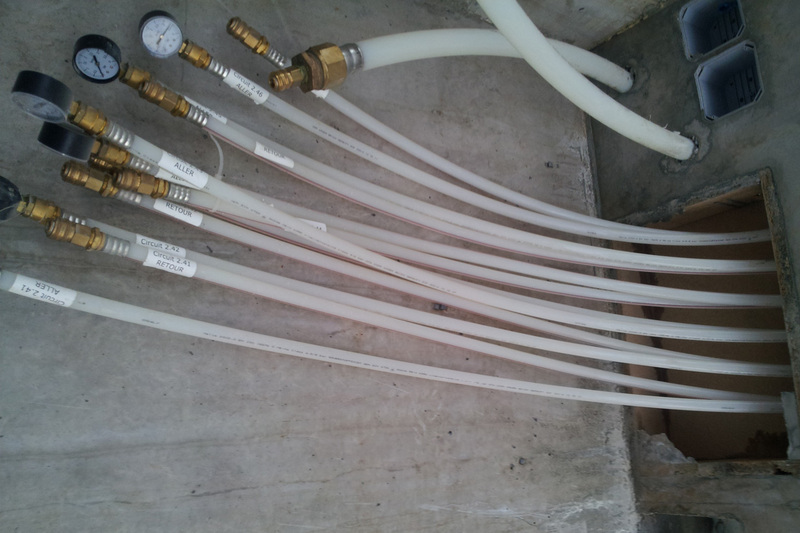 A dedicated outdoor air system supplies about 4.5 m³ /h/m² of fresh air to the offices and includes >80% sensible heat recovery. In contrast to all-air systems, the air is only mildly tempered (not significantly heated/cooled) throughout the year. The combination of radiant and 100% fresh air systems with heat recovery allows comfortable conditions with minimal energy use. 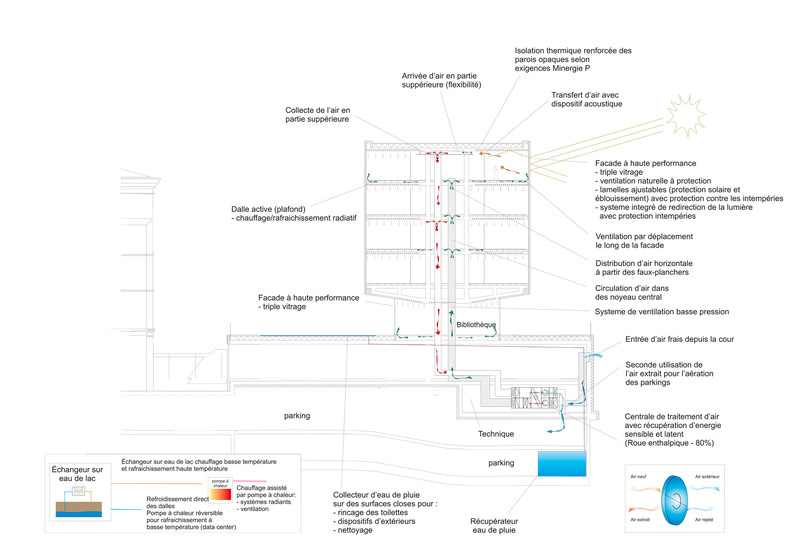 A water-source heat pump connected to the nearby Lake Geneva supplies heating and cooling energy to the building. For much of the year free-cooling is possible. 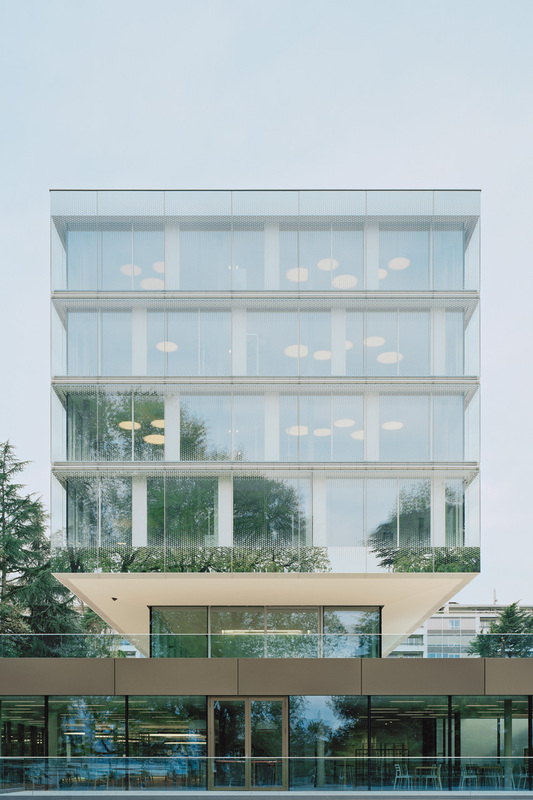 The permeable double-skin facade made from single- and triple-pane elements allows occupant access to fresh air without acoustic disturbances/with minimum noise from the nearby road. 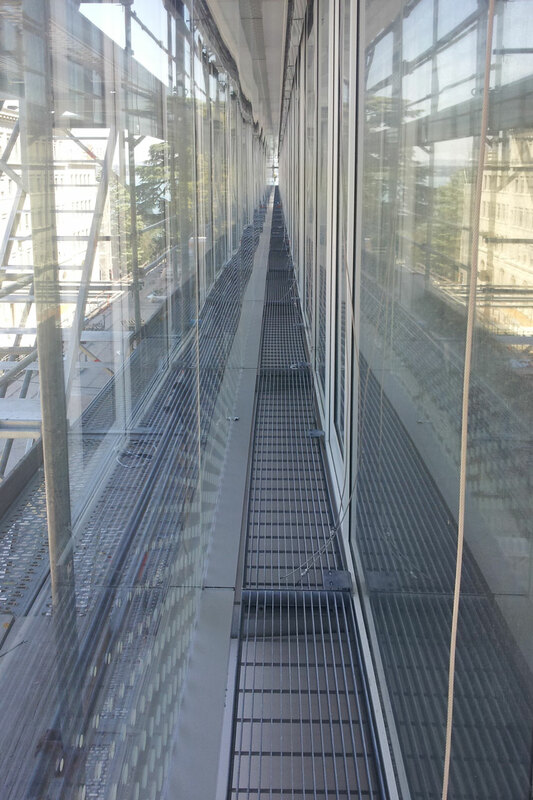 This access to fresh air also offers the possibility to turn off mechanical ventilation when weather conditions are suitable, which results in further ventilation energy savings. 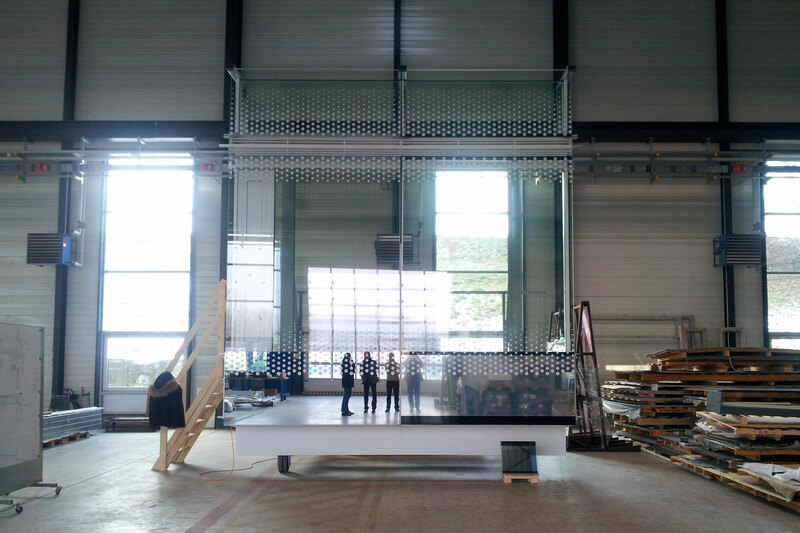 By installing the sunscreen within the double-skin façade, it is sheltered from the wind and therefore can be used at high wind speeds (when typical systems could not be operated). 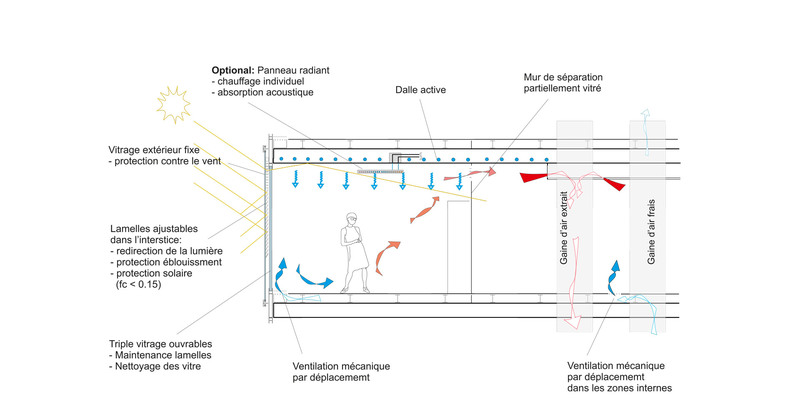 The possibility of window ventilation as well as individual control of the sunscreen leads to high user acceptance. 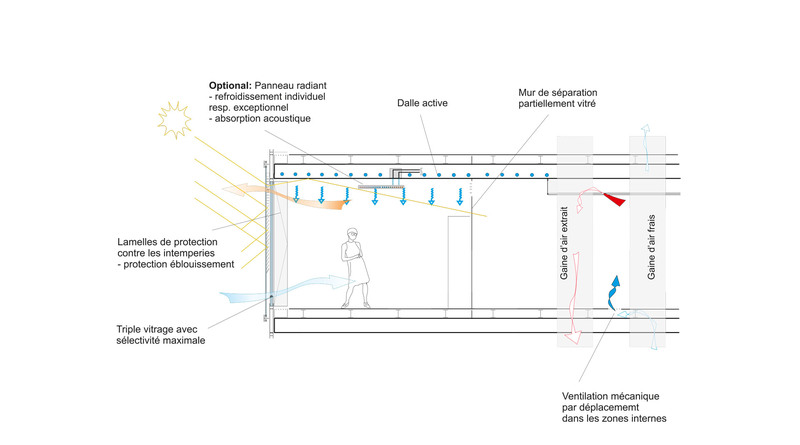 Daylight redirection elements integrated in the shading system allow daylight illumination of the offices even when the shades are closed. 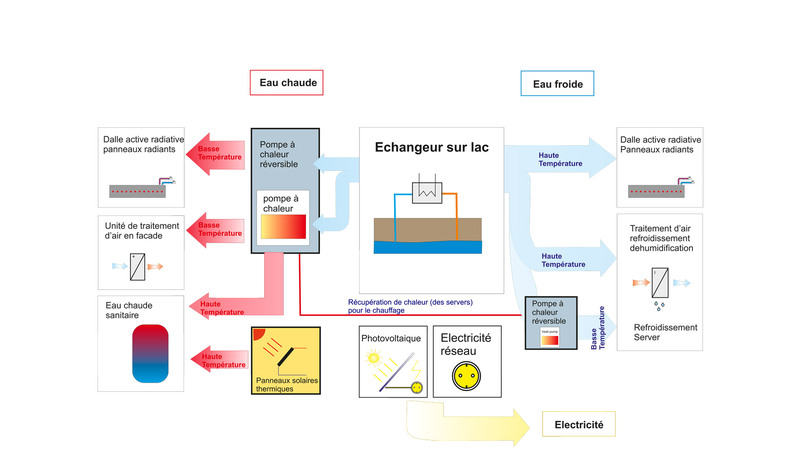 LED lighting further contributes to a low energy demand for artificial lighting.